Physical or emotional imbalances occur when there is a blockage of the vital life force energy to certain parts of the body. This can be created when we take on a negative, low vibrational belief. This is called an Energy Interference Pattern (EIP). Wherever these patterns originated from, they build up over time creating stagnant energy around our cells blocking the flow of energy. 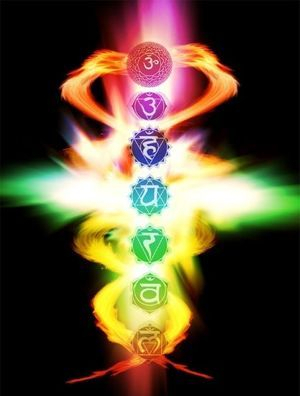 Using numbers to direct you to where the low vibrational pattern is being stored in your body, you can access the core belief which is creating the block. By a process of neutralization and creating a new manifestation, the belief is transformed into a high vibrational pattern allowing the life force energy to flow through to the part of your body which was previously blocked. Interfering patterns of beliefs may come from a past life but may also be handed down to us from our ancestors through the DNA (cellular memory). This powerful and very effective technique aims at locating the source of the limiting belief and cancel the old pattern of belief and replace it with a new, positive programing. As a first step, you will be going through a DNA activation. Whilst you are in the theta state (a deep but conscious relaxation state), it is possible to "visit" a past life or even a future life that may be relevant to the session. If you would like to experience this, please allow for additional time at least another 45 minutes. However, I do not guarantee that this process will take place, though 90% of my clients successfully access a past or future life.
. IDENTIFY THE BELIEFS THAT ARE HOLDING YOU BACK, BELIEFS THAT ARE SUBCONSCIOUS AND NOT IN YOUR AWARENESS RIGHT NOW.
. RELEASE AND REPROGRAM ANY SELF SABOTAGING AND SUBCONSCIOUS BELIEFS.
. RELEASE NEGATIVE EMOTIONS FROM YOUR MIND AND BODY.
. CREATE A POSITIVE, NEW REALITY. I myself came across this technique as I had been trying for many years to change a deep rooted mind set which was hindering my life on many levels. Affirmations, visualizations, were not effective as the old belief was still at play...Using EIP the progress and breakthrough were almost instantaneous and permanent. The initial session will last from 2 to 3 hours hours (£100 British pounds). One session may be enough to remove the core belief interfering with our growth (material, emotional, physical or spiritual). Please ring me for details or to find out more..07722 943539 or e-mail me. Happy New Year! I hope 2011 is a great year for you. clearer and since then it has been getting more and more clearer. There's only a few marks (scars) from where the spots used to be. But I dont get any new spots on my face anymore and the painful and itchy skin has completely gone! I no longer fear looking in the mirror. but i dont understand the science behind how. The EIP and EFT has completely changed my life. My emotions are now positive and stable. And the acne has gone! I am free, thanks to you. I will continue with the EFT everyday, I find it very powerful, it works instantly to make me feel relaxed about something that im anxious about. Firstly I was amazed at how easily I reached a state of true relaxation. I cannot remember having ever felt so still inside. The experience and feedback were good starting points for reflecting on aspects of my life and I was able to do so with a new detachment, this helped in seeing some things in a new light. I would advise others that although this technique may not cause any immediate revelations and sudden changes ( which would be quite scary!) it has produced improvements in my daily life. I have noticed myself doing things or thinking thoughts which were not conducive to my well-being and corrected or questioned myself as it was happening. I also notice when I am doing well and mentally appreciate myself for it. My job requires that I speak in public and train clients on the use of IT systems within the financial environment. Although already confident in my role I have noticed that the stress levels for particularly demanding jobs are nowhere near as high as before. The best thing is I simply get on with what I have to do feeling just fine, no false sense of any "superpower". This leaves me with a feeling of comfort and calm within myself. I hope this will be the beginning for more discoveries along this path."